Elvedina is pictured here wearing the Elvedina necklace. She’s been with Jeanine Payer Studios since 1999. 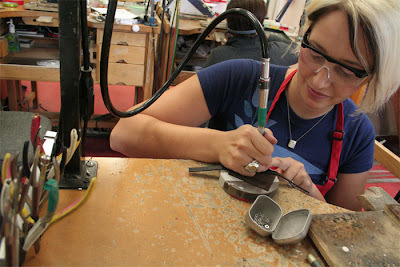 Elvedina specializes in leatherwork as well as metalsmithing and is one of the hottest smiths on the block.